Drinking aguas frescas is a healthy tradition in Mexico. These juices consist of fruits and ground leaves prepared and mixed with water to give an exquisite taste. 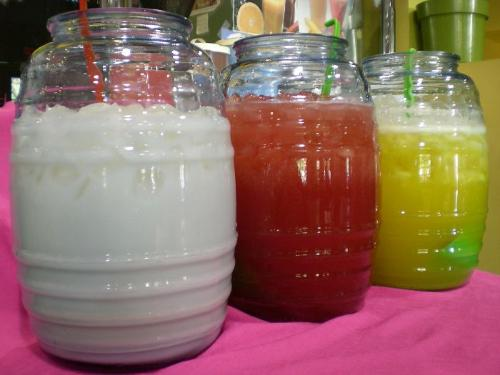 Aguas frescas can be served hot or cold depending on the weather, the season and the region where they are consumed or where the particular fruit is harvested. There is a great diversity of aguas frescas that are enjoyed everyday by many families. Some of the most popular aguas frescas are: lemonade, made with lime or lemon, sugar and your choice of regular water or mineral water. Today we mix this drink with tequila to give this drink a sense of freshness. In Mexico it is a custom and tradition to drink them at kids parties and traditional Mexican fiestas. Our cucumber water with lime is an excellent, nutritious and refreshing drink for hot days.. Fresh cantaloupe or pineapple water usually to accompanies a meal. Jamaica water, a hibiscus tea, is perfect for those people who want a healthy diet, and the famous horchata is just a sweet treat. 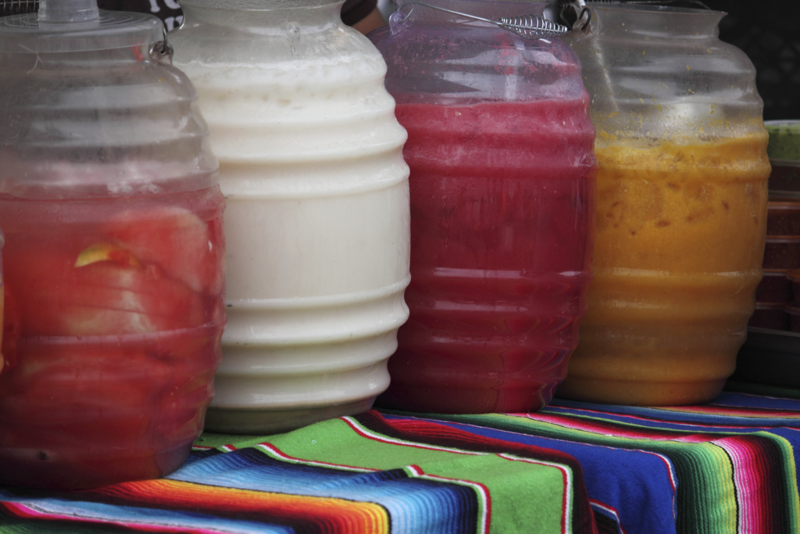 Where did Aguas Frescas come from? Interestingly, horchata is a modern adaptation to chufa water, a Valencian tradition, especially of Alboraya town of Spain. This was prepared with chufa tubers that are small shaped knots that come from the roots of the sedge countersunk, which is named for the shape of its fruit. This drink was prepared earlier with wet chufa, water, sugar and to give it a more intense flavor, lemon peel and cinnamon were used. This drink has been consumed since ancient Egyptian times as vessels from that time met with groundnut as part of the funerary equipment of the pharaohs. In the same way ancient Persians and Egyptians writings spoke of the digestive benefits of this drink for its medicinal considered diuretic and energetic effect. The traditional horchata recipe consists of rice water, melon seeds, cinnamon, sugar and sometimes condensed milk and evaporated milk are added to enrich its flavor. Moreover Jamaica water or hibiscus tea is a tea made from Jamaica’s rose petals. This drink is drunk worldwide either cold or hot and has a bitter taste like cranberry, mixed with sugar to give it a less bitter taste It contains vitamin C and trace elements and on the island of Jamaica is simply known as “Water”. It contains 15 to 30% organic acids, including citric acid, tartaric acid and maleic acid, it is also very nutritious. Jamaica water is traditional in Mexico, Central America, parts of South America and of course in the Caribbean. This is a cheap and widely consumed beverage because of its easy preparation singulair for allergies. The petals are boiled in water and then drained and cooled. 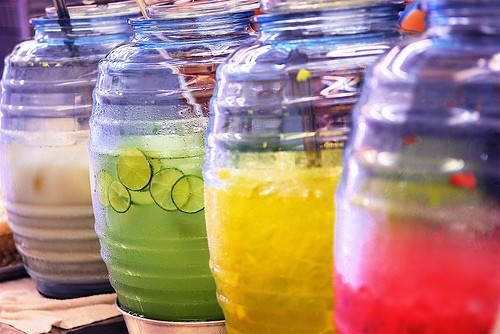 There are many more aguas frescas, but in many parts of the world this nutritional habit is not implemented, most of the time they prefer to drink liquids with gas or alcohol. Today here in the United States we can find these delicious drinks in Mexican restaurants such as Sancho’s Authentic Mexican Restaurant and and the ingredients can be easily found in supermarkets for home preparation.